In holidays for less than a week in France, I realized that almost every news used the same data to inform candidates’ score for French elections. I remembered that it was part of an issue during US elections and how wrong it can give a wrong opinion. I went a bit deeper in those sources and found 3 main companies creating survey on a weekly or daily basis. For any survey you read, it’s really important to know what was the methodology to get those numbers. It could be “ how many people take part of the survey” “ what was the questions asked” etc. For my French case, it’s about 1500 entries that answered to “Who would be next french president next 7th May?”. Obviously, you can start having doubt about the accuracy as daily news make you like more or less a candidate every week. On the other side, I’m definitely not sure you can apply 1500 answers and scale it to 40M population that easily. However, as I got some time, I though it could be handy to track progress of candidates’ score, underlining the methodology of the survey at the same time. 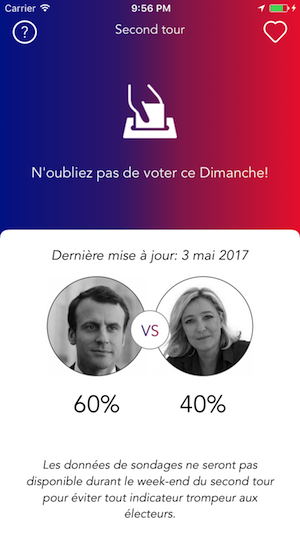 Less than 10h code later, I had a usable app ready to track French election for 2017. Even as en ephemeral product (elections will end next May), I liked working on something really different than my daily tasks and try to find an opportunity to use technology in another context. Thanks to @JeremyFrenay extracting and cleaning the data, helping me to release this app that quick. French Elections ended with Emmanuel Macron as winner. During this campaign, I tracked downloads to confirm if people find interest in. I got the good surprise to see that there about 1300+ downloads on Sunday 23rd of April. 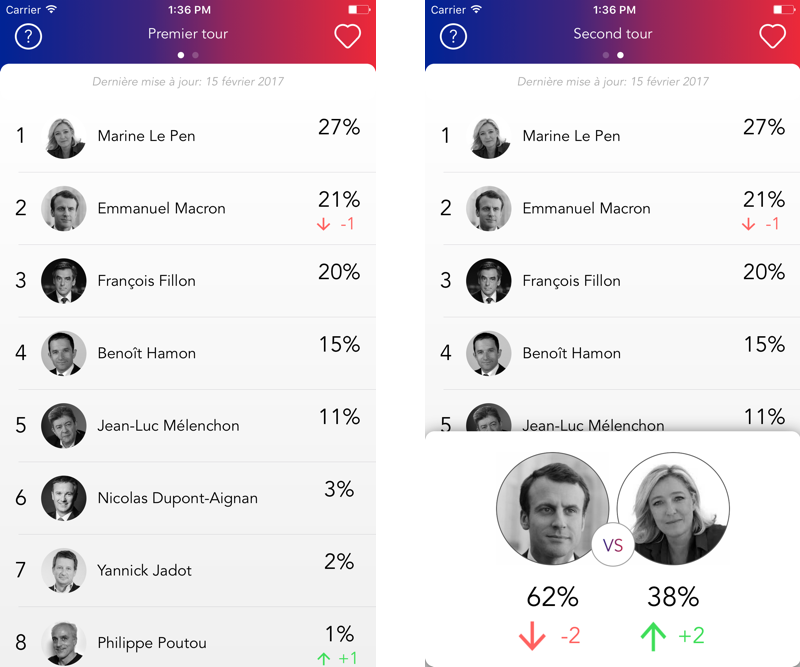 It’s explained by first round of elections: people downloaded the app to get the result. 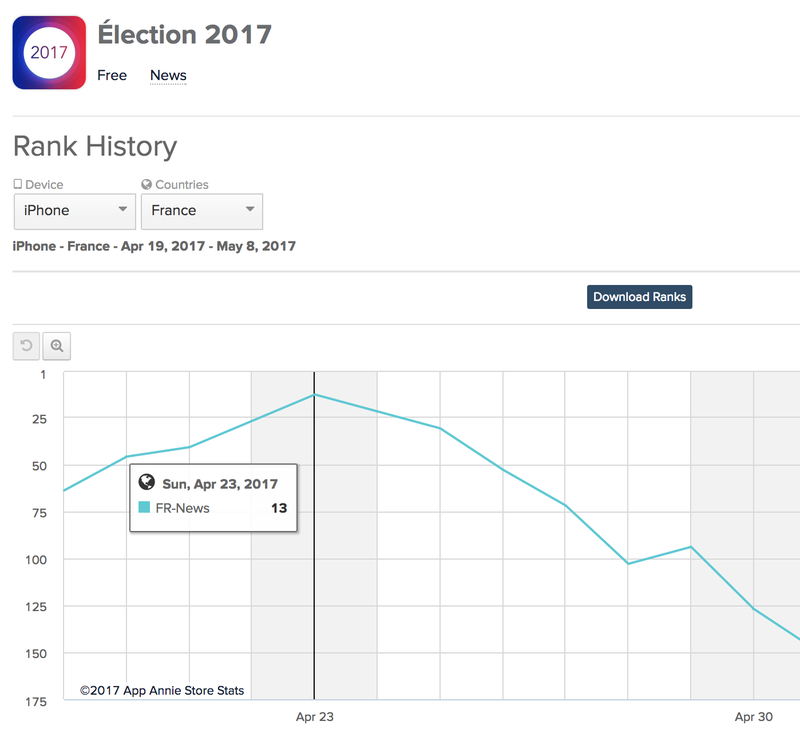 Thanks to this peak, the app was 12th of the French App Store in News category, quite nice rank knowing I didn’t do any marketing around it. I managed to update the app for the second round, making it even easier, with a small reminder for users to vote. At the end, this side project with about less than 20h work (idea, design, code and update) cumulated 5000+ downloads. As an ephemeral app, it doesn’t make sense to keep it live after the result, I disabled the app. 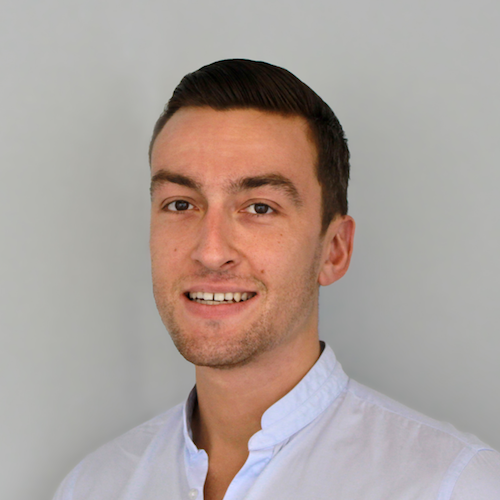 However, I really enjoyed working on it and investing this time to see how timing is key when launching a product.